Hasselblad is a camera company well known for pushing boundaries, but it’s usually those of your bank balance for its pricey snappers. Now it’s pushing the limits of what was thought possible for megapixels crammed into a camera. After its 100MP H6D, it clearly wasn’t satisfied and has now taken it to the next level – four levels higher to be exact. 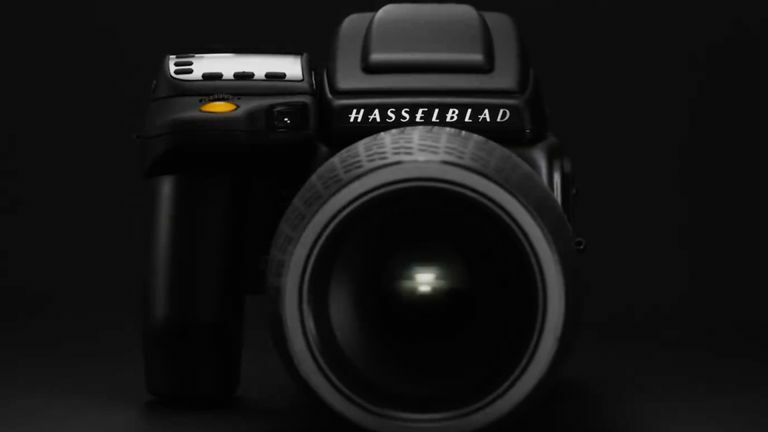 The Hasselblad H6D-400c Multi-Shot camera costs a staggering €48,000, which is about £42,500. This is because it crams in a rather unique sensor system to get a 400MP end result. The camera is comprised of a single 100MP medium-format CMOS sensor with a wide ISO range to 12800, 16-bit colour data for a whopping 15 stops of dynamic range. It also captures 4K video, features Wi-Fi, USB-C and CFast 2.0 dual card slots. It’s the Multi-Shot part of the camera’s name that gives away its real special power. This tech allows the snapper to actually move the sensor by a pixel at a time, or less. This super precise movement means the camera can capture more colours than other cameras are able to. So by moving that 100MP sensor in 6-shot capture mode, it shifts the sensor to capture RBG data for each pixel – half a pixel at a time horizontally then half a pixel at a time vertically - resulting in six images which combine to make that 400MP (23,200 x 17,400) shot. The result is a colour-filled file that’s a hefty 16-bit TIFF at 2.4GB in size, so expect to shell out plenty of extra cash on memory cards too if you’re thinking of investing. There is also a 4-shot mode that moves the sensor a full pixel at a time and captures 100MP (11,600 x 8700) shots for 579MB files. If you wonder what all the fuss is about, check out this 400MP image on the Hasselblad site to be amazed. You can pre-order the Hasselblad H6D-400c Multi-Shot for €48,000 (£42,500) ready for its release in March. That price also includes an HC80 80mm lens, li-ion battery and memory card. There will also be the option to rent the camera from €399 per day, lowering in price for the longer you have it up to 10 days at €199 per day.